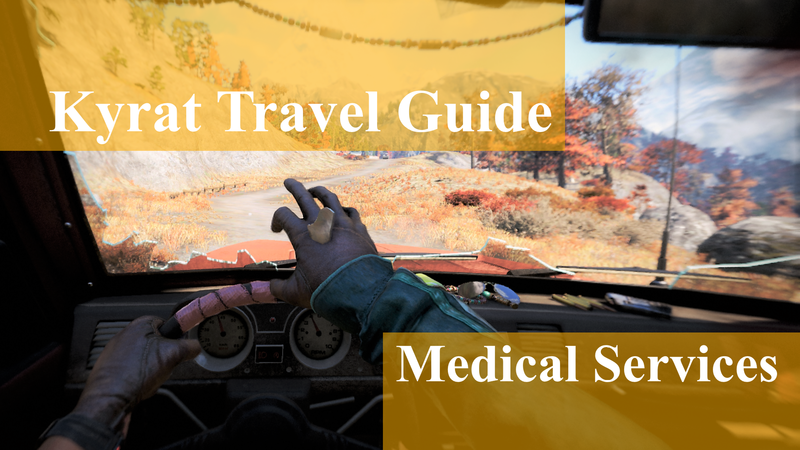 Before venturing out in the unpredictable wilderness of Kyrat, let’s go through a few basic survival tips, and some more advanced medical procedures. Kyrat is a pretty damn comfortable place. Lush and warm. Mostly. But some areas can freeze your A off. So, remember to not stay out in the cold for too long. It’s cold up in dem mountains. This guy took a nap. A hypothermic nap. As you can see here, someone forgot cold cream lip balm. Apply sunscreen, hydrate, take breaks, one can’t breathe underwater, and all the other basic yaddi-yaddi-stuff. A first aid pen will cure just about anything. Got your bones messed up by gravity, velocity and dense mass? Stick that pen anywhere, and you’ll be throwing yourself off cliffs again in no time. If you don’t have a first aid pen, there is still hope. Travelling around Kyrat, it is unlikely you will get far without sustaining an injury. When (not if) that happens, you won’t have time to find a hospital (they barely have doctors here). When time is of the essence, quick thinking and unusual methods need to be used. Forget about appropriate tools. They’re never around when you need’em. Clap your arm and you’re fine. Even if soaked in ignited gasoline. Just a few taps will do. This is the least dangerous of them. Dislocated joints. Another minor issue. Been accidentally shot by a hunter who mistook you for a badger? Find a stick, jam it in the wound, and yank the bullet the hell out of there. Another option is combining step 1 and 2. Bite the object, and pull. Finally, the absolute worst medical situation imaginable. Arguably, worse than a papercut, or banging your pinky toe. The only option you’ve got if you find yourself in this situation, is to panic and run in any direction until you find a professional. No matter the size of the splinter. You need immediate help. If you can’t find help, stoically accept your fate and assume the position you want your body to be found in. Now that the basic necessities are covered, you probably wonder what kind of adrenaline filled activities is available.